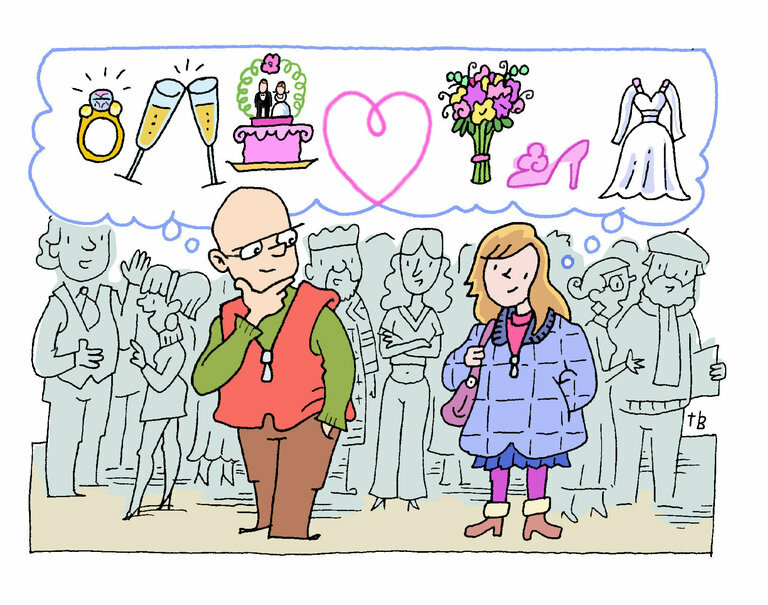 When writing for the weddings pages of The New York Times — which I have done since 1992, at first on a weekly basis and now occasionally — the job is to walk into a room full of well-dressed strangers and collect the best descriptions you can find about love and marriage, mostly love. It isn’t easy. For one thing, people sense a stranger in their midst as acutely as a herd of gazelles might, and they tend to scatter, or stare from a distance in a menacing way.